The Celebrity Net Worth website lists 80 year-old Petula Clark as being worth $10 million. Clark has now been singing for 74 years. When I think of Petula Clark I think of her hit song Downtown. 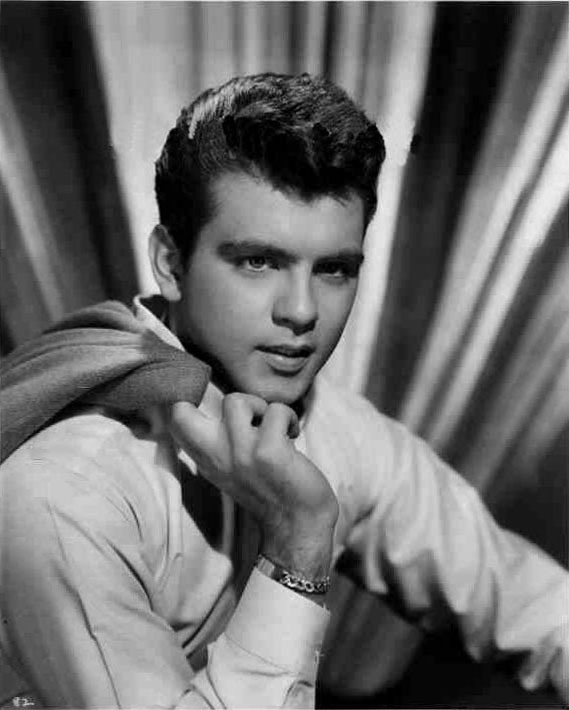 Fabian Forte known only as Fabian by most rock and roll fans was 70 last February and although he may not have a lot of hit songs he made his mark in the movies, appearing in a total of 45 movies and TV shows from 1959-1996. Celebrity Net Worth lists Fabian’s net worth at $25 million. Prince Michael Joseph Jackson Jr. may be only 16, but he is already worth $100 million.. He may or may not have access to that money now, but his financial security is insured, if he doesn’t go through his money too fast. The net worth of Connie Francis is listed at $25 million despite the fact that she only had three No.1 hits in her 70 year career. The 74-year-old Francis had her first No.1 hit in My Heart’s Got A Mind Of Its Own in 1960. Her next No. 1 hit was released in 1961 when Together was No.1 on adult contemporary chart and her last No. 1 hit was Don’t Break The Heart That Loves You which reached No.1 on the Billboard charts in 1962. Francis has not even released an album since 1969. 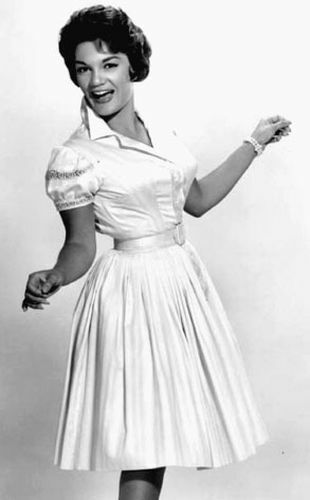 One of her best known songs was Who’s Sorry Now, but it peaked at No.4 for her first Top 10 hit in 1957. Her biggest regret was not marrying Bobby Darin, after her dad chased Darin out of a building at gunpoint. He then said Darin was out of their lives, when the news of his marriage was broadcast on the radio. Francis said she wished their car had been filled with water, while driving in the Lincoln Tunnel and hoping her father would both be killed. The 74 year-old Gordon Lightfoot is listed as being worth $30 million. Lightfoot has been singing since 1956 at the age of 18. Bob Dylan said Lightfoot was one of his favorite songwriters. He wrote Early Morning Rain, which was covered by many well-known singers including Elvis Presley. His first No.1 song was If You Could Read My Mind, which reached No.1 in Canada in 1970. His other No. 1 hits on Canadian pop charts were Sundown in 1974 and The Wreck Of The Edmund Fitzgerald in 1976. Lightfoot had nine songs reach No.1 on the Canadian Adult Contemporary charts. Sundown was the only Lightfoot song to reach No.1 on the U.S. pop charts, but he placed four songs on the U.S. Adult Contemporary charts. Connie Francis had 56 Billboard hits in the USA alone and is one of the biggest selling female vocalists of all time. Connie Francis was one of my favorite singers and still is. Yes. Connie had 3 number ones when number ones meant something and she had 16 million selling singles and 56 Billboard hits. Still one of the top female vocalists of all time. I agree that Connie was one of top female vocalists of all time. ….and Connie’s net worth would be much higer had she not squandered millions during her illness phase. She was the biggest star on the planet and the highest paid for such a long time. I feel that way, Connie’s star Dom opened the door for other female singers during the rock n roll Era came around I can’t understand why Connie’s not in the rock n roll hall of fame. Connie was noted that it is all political. .and if the academy would vote her in, she would refused the honor. …thanks. Connie Francis should have been in the Rock and Roll Hall of Fame. They let singers in, that had nothing to do with rock and roll, while Connie is on the outside looking in, despite being one of the early pioneers in rock and roll. Think Connie sang a lot in Las Vegas where the real big money is. You are right and she was the biggest star on The Strip throughout the 60s. She was also the biggest female concert act throughout the world. She still challenges Madonna as the biggest female vocalist of all time, but Connie had loads of vocal talent. I would pay a lot of money to see Connie sing, but wouldn’t give a plug nickel to see Madonna. Connie Francis was one of my all time favorites when I was growing up. Connie is still one of my favorites. I was born in 1953 and I love the 50s and60s era. I hope all is well with Connie. God Bless you. Kathy H.
Kathy, I can’t think of Connie Francis without thinking of her song Who’s Sorry Now, which is my favorite. My Heart Has a Mind of It’s Own is her only #1 hit of her career. Her name was Concetta Rosa Maria Franconero, when Arthur Godfrey told her to change it to Connie Francis. Connie will be 79 on December 12. Where did all the time go? She was married four times in marriages that lasted only 10 years in total and has been single for the last 31 years. Her Wikipedia page tells about how she had so much tragedy in her life. How much is the net worth of Connie Francis? It has been estimated by authoritative sources that the singer’s wealth is over $25 million, as of the data presented in the early 2017. Singing is the main source of Francis’ fortune. Connie had 3 #1 hits: Everybody’s Somebody’s Fool, My Heart Has A Mind of Its Own, and Don’t Break the Heart that Loves You. She had 16 million sellers and 57 chart hits. Connie Francis has the same first and last name of the shooting victims. The Connie came from Connie Deen “Miss Pete” Peterson-Miller and the Francis came from Francis Joseph “Fran” Fazio, the hero.